The ultimate collection of articulation sets for Logic 10.4. The gold standard in articulation sets. A composer's dream. 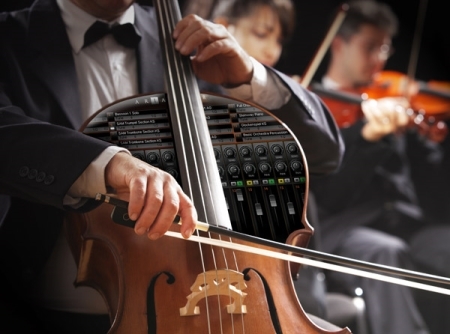 Imagine, all you orchestra sample libraries would feel like one. Imagine that everything is structured and laid out in exactly the same way. So you can focus on your music instead of feeling distracted by technicalities. Art Conductor for Apple's Logic Pro 10.4 is the most complete collection of Articulation Sets available. Made of hundreds of sets for major libraries. All articulations sets are build in the same way. The key commands for the core techniques, which most libraries have in common, are assembled on the lowest octave. It will take you no time to learn that Spiccato is always on E, independently of what library you’re using. The remaining key switches follow the natural order within the individual instrument. This unique universal key switches systems enables you to control all your libraries with one single Lemur, TouchOSC or hardware controller template. All articulations are sorted alphabetically. And, we've streamline the way the techniques are named across all libraries. For instance ”Long” and ”Sustain” are always called ”Long” - because both describe the same. We use custom made software to arrange all articulations into the perfect order. To automatically create consistent short names and notation symbols. In other words, it would take month to do all this by hand – with the tools available in Logic. Art Conductor is a collection of orchestra articulation templates for both Cubase Expression Maps and Logic Articulation Sets. 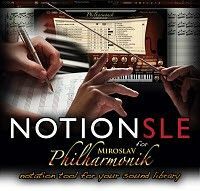 The new version features more than 1200 templates spanning over more than 80 orchestra sample libraries. All templates have unique features including a unified key switch system, color coding and more.